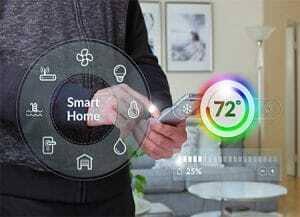 Parks Associates found that 16% of U.S. broadband households that bought a smart thermostat in 2017 purchased it as part of a new HVAC system through an HVAC dealer. 57% of smart thermostats were self-installed in 2017. 4% of smart thermostat buyers bought a second one in 2017. Two key smart home adoption factors include growing interest and the ease of self-installation. This data as well as other consumer data and growth strategies will be discussed at the CONNECTIONS Summit at CES in January. For additional information about the CONNECTIONS Summit, click here.